The Nominet Trust is the UK’s leading social tech funder and each year it identifies 100 examples of the world’s most inspiring social innovations, where digital technologies have been used to tackle a significant social change. The 2014 Nominet Trust 100 was selected by a panel of prominent digital and social entrepreneurs from around the world, which included Tom Hulme (Google), Simon Devonshire (Wayra) and Caroline Daniel (Financial Times). The Digital Humanitarian Network – a site to classify tweets in the aftermath of Typhoon Pablo in the Philippines so that aid could be delivered to worst affected areas. 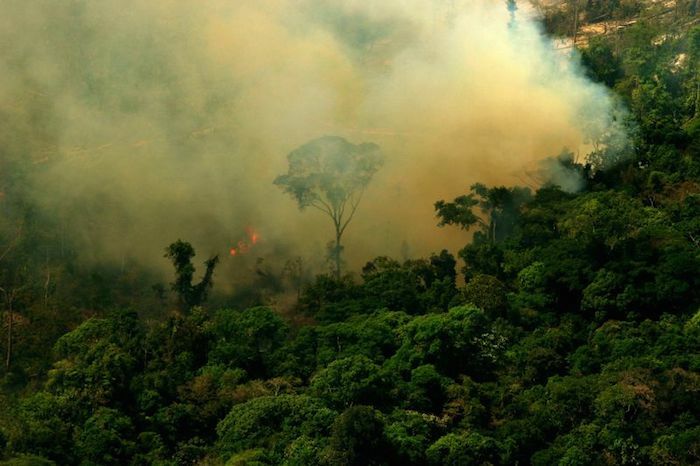 Photo by Leonardo F. Freitas Photograph of illegal logging fire in ForestWatchers – a project which impressed the judges.